As much as researchers have made inroads into finding new treatments that alter the course of dementia and improve the quality of life for people with the condition, searching for a cure has proved elusive. Alzheimer’s Disease is gaining a more prominent presence among causes of disability and death. According to a study conducted by global health research centre Institute for Health Metrics and Evaluation (IHME), the number of dementia deaths worldwide has more than doubled since 1990 – from about 795,000 in 1990 to nearly 1.7 million in 2013. In 1990, Alzheimer’s was ranked 44th globally among causes of premature death; in 2013, it had risen to 29th. With the ascent of dementia showing no signs of abating, perhaps the best way moving forward is prevention. Contrary to popular belief, dementia and Alzheimer’s Disease is not solely a problem for the old and aged. Neither does the factor of ageing mean that there’s nothing we can do to stave off the effects of the disease. 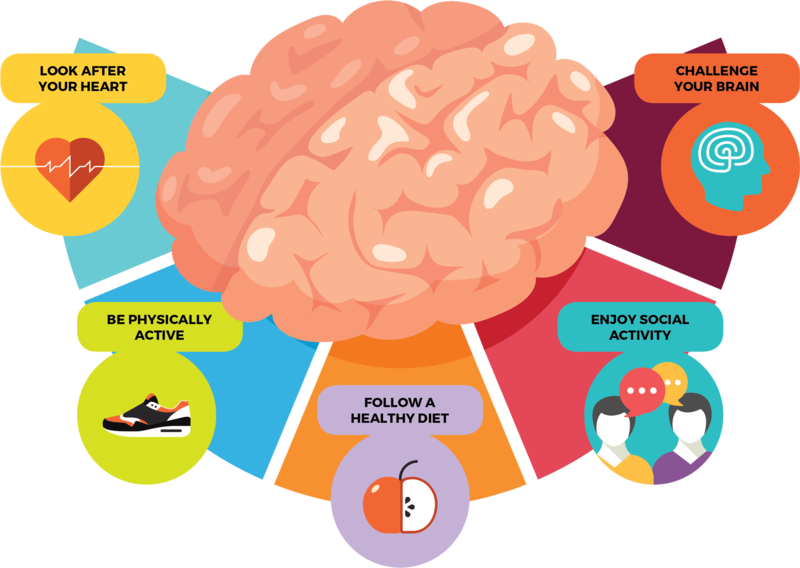 Reducing your risk of dementia starts with incorporating healthy activities into your daily routine and making smart lifestyle decisions. 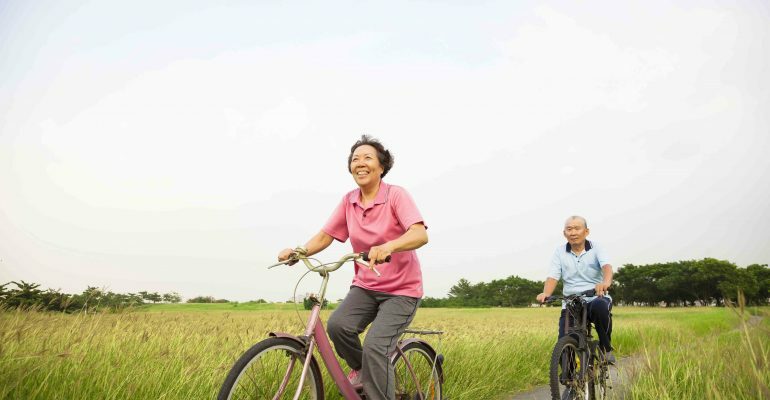 Research suggests that leading a brain-healthy lifestyle may help to reduce a person’s risk of developing dementia later in life. The good news? You’re never too young to get started. Here are some top tips on keeping dementia at bay. The head and the heart may not always agree with each other, but one thing they can agree on is that a healthy heart benefits a healthy brain. According to Meharvan Singh, Ph.D., Associate Professor of Pharmacology & Neuroscience, the brain receives approximately 15% of cardiac output, meaning that compromised cardiovascular function would reduce supply of blood (and thus oxygen) to the brain. Research has also shown that an increased risk of heart attacks and strokes can increase the chances of developing dementia. Smoking increases your risk of developing dementia, on top of causing harm to your lungs and heart. Evidence revealed by the World Health Organization (WHO) and Alzheimer’s Disease International (ADI) found a correlation between smoking and the risk of dementia, with smokers have a 45% higher risk of developing dementia than non-smokers. What’s good for the heart may also be good for the brain. A 2016 study by the University of Southern California found that statins, designed to help those with heart conditions, may play an additional role in protecting the brain from dementia. Aim to walk for at least 30 minutes, five times a week, maintaining an activity level that would raise your heart rate to a good level. A year-long study by researchers at the University of Pittsburgh, involving 120 people aged between 60 and 80, found that walking briskly for 30 to 40 minutes a day three times a week was all that it takes to re-grow the structures of the brain linked with cognitive decline in later life. Scans later revealed that the parts of the brain that shrink with age actually grew in volume after moderate but regular exercise. So stop the clock (and mental decline) by sweating it out. There is truth in the saying that you are what you eat, especially when it comes to combating dementia. A healthy and balanced diet not only makes you feel good, it also helps to reduce your risk of dementia, among other health problems like diabetes and heart disease. Much has been said about how adopting a Mediterranean diet may help reduce the risks of dementia, although the actual benefits may vary from individual to individual. Stick to a diet of oily fish, greens, unrefined cereals, grains, and less red meat to give your mental health a boost. When in doubt, approach your doctor for more advice on making healthier dietary choices for a sharper brain. 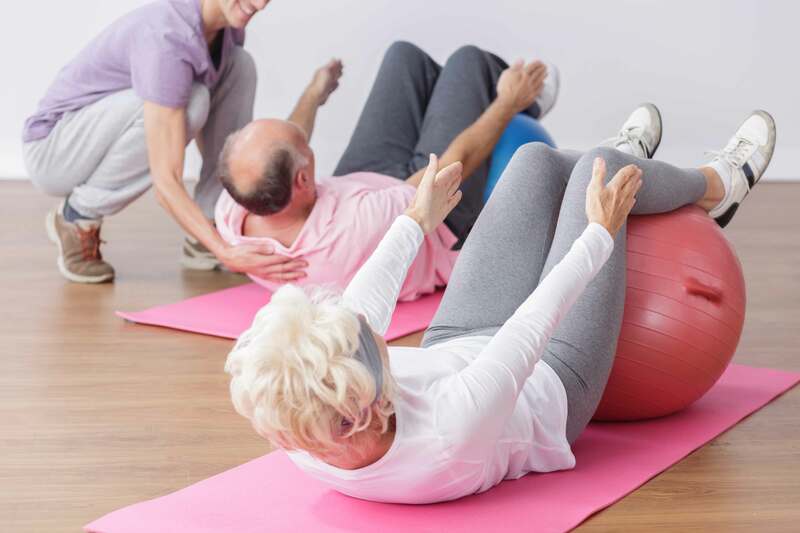 Just as exercise is highly beneficial for physical health, cognitive activities can also be great for brain function and reduce the risk of dementia. ADI reports that experiments conducted on both animals and humans showed that mentally stimulating activities are related to measurable improvements in brain vascular health, and in both brain structure and function (World Alzheimer’s Month Report, 2014). Also, a report from the Rush Memory and Aging Project reported that cognitive stimulating activities (including reading and writing) in a group of 300 cognitively healthy men and women were associated with a slower cognitive decline in the six years before death. Therefore, reading, engaging in a hobby such as playing bridge or chess, or doing crosswords and word puzzles may help to reduce risk. Of all the ways to reduce the risk of dementia, engaging in social activity may be the most enjoyable. But surprisingly, only 17% of people surveyed around the world knew about this dementia hack according to ADI. A study published in the American Journal of Public Health showed that women with the larger social networks were 26% less likely to develop dementia than those with smaller social networks. And women who had daily contact with friends and family cut their risk of dementia by almost half. “If you stay connected, you have a better shot,” says Valerie Crooks, lead author of the study. “Whenever we have even the most basic exchange, we have to think about how to respond, and that stimulates the brain. There are people who are outliers, who have two very close relationships and are fine cognitively. But people who have three or more relationships tend to do better.” Social engagement may benefit brain health by stimulating our brain reserves, helping to stave off dementia and depression in the process. Keep dementia away! 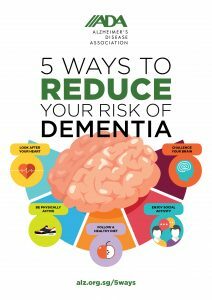 Download and share this poster with friends and family to remind them of the important ways to reduce their risk of dementia.